Ucello is by Now or Never by Voltaire. Celle introduced Now or Never into their breeding program in 2004 and now offer his son. Voltaire passed the stallion performance test in Holland and looks back on a long lasting career in international showjuping. 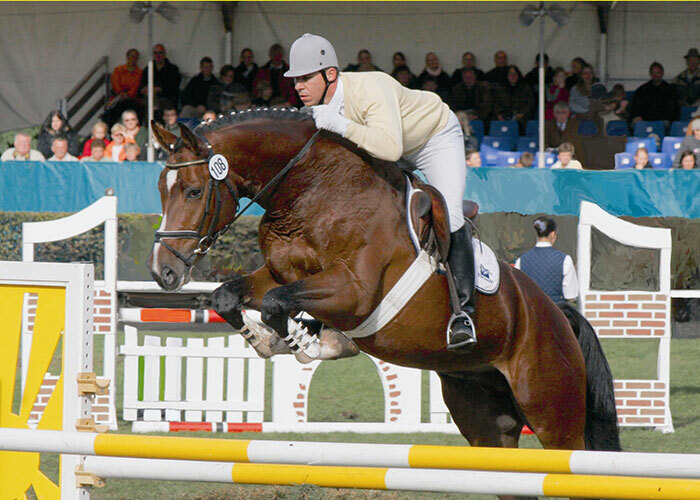 Ridden by Jos Lansink, Voltaire was among the top, jumping at shows in Calgary, Stockholm, Lanaken, Helsinki, Wiesbaden and at the Olympics in London. Voltaire obviously passes on his characteristic ability to perform to his offspring both in dressage and jumping. Descended from the Furioso 11 line, who like none other before him influenced Germany’s horse populations by producing offspring for enormously versatile and various purposes. Imke (elite) was described as a very well developed riding type mare with lots of presence. Now or Never was champion in s’Hertogenbosch in 1998 and is a stallion of great presence. 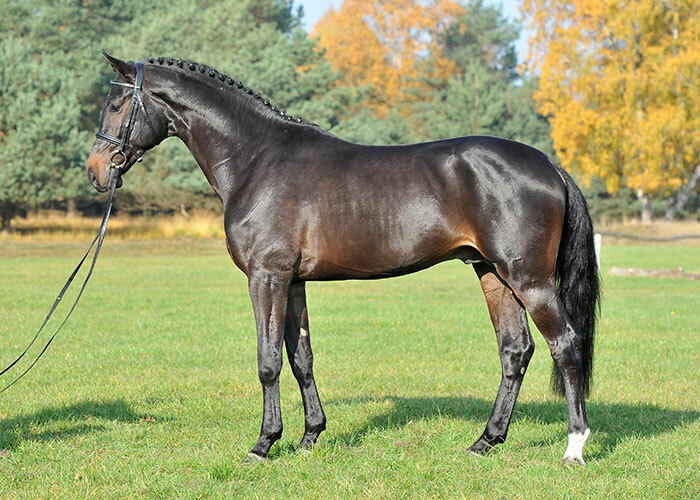 He won the finals in the IAN trophy in the KWPN competition in 2000. 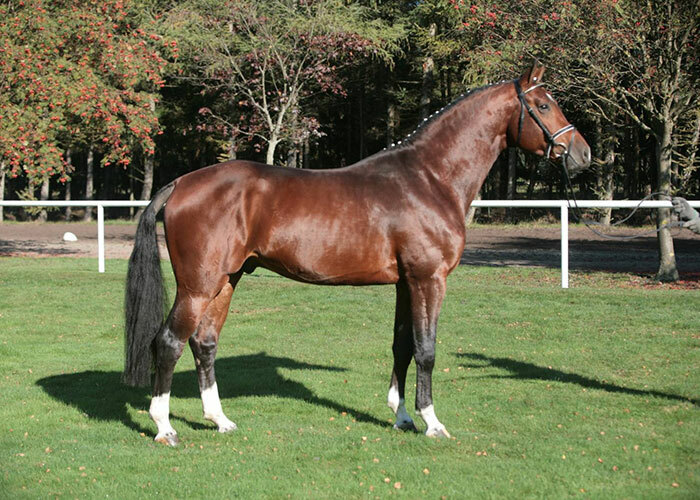 In 2001 he got 7th place in the IAN trophy Stallion Championships. He was one of the 12 selected KWPN horses for the World Championships at Lanaken in 2001 and he won first place in the Stallion Competition 2000/2001 in Giesbeek. Now or Never produces very good riding type horses with very good quality and outstanding presence. Foals have long rhythmic walks, light high trots and excellent canters. 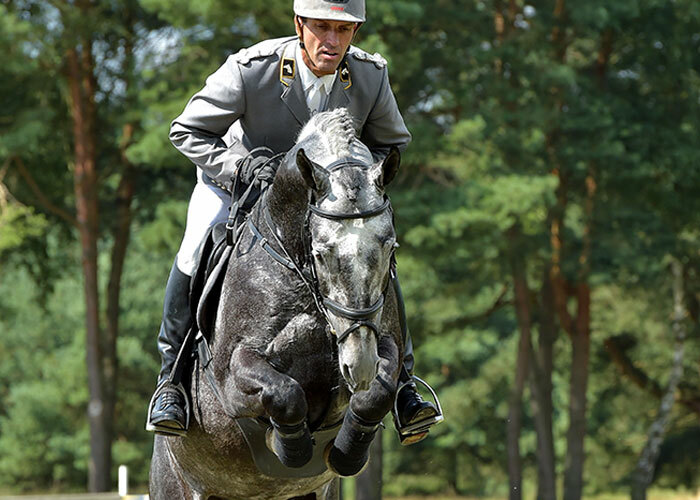 Ucello gained 8’s for character, temperament and willingness to perform under saddle at his performance test in 2004. He was given 7 for confirmation, 8 for trot, 10 for canter, 8 for walk and rideability and 10 for jumping ability. His scores over the jumps were excellent, with 9.28 for free jumping, and 8.67 for rideability. This young stallion excels in jumping ability but also has good basic paces with an excellent canter. He has two licensed sons, 15 state premium mares, 21 auction horses.